MOSCOW, June 5. /TASS/. Russian President Vladimir Putin believes that attempts to pin the blame on Russia for alleged interference in the 2016 US presidential election could be an attempt to distract the public’s attention, just like the way it happened with the investigation of US President John F. Kennedy’s assassination. "Hackers (that allegedly influenced the US presidential campaign - TASS) may be anywhere. They may be in Russia, in Asia, in America, in Latin America. 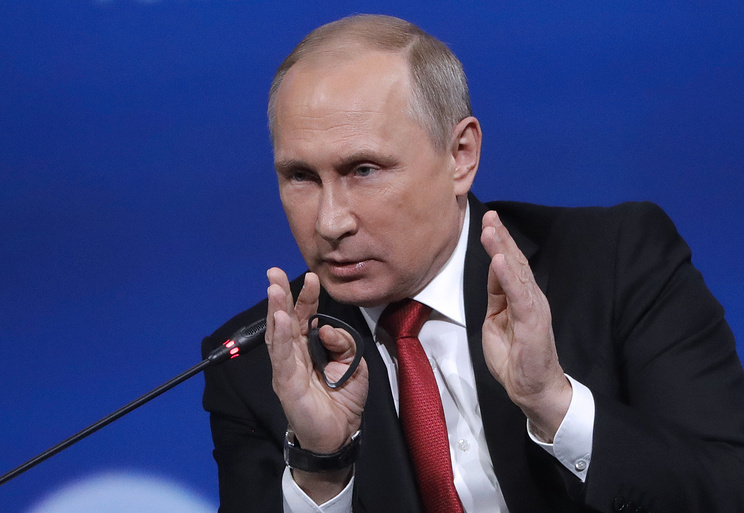 There may be hackers, by the way, in the United States who very cunningly and professionally passed the buck to Russia," Putin said in an interview with NBC News anchor Megyn Kelly. "In the middle of an internal political fight, it was convenient for them, for whatever reason, to put out that information. And put it out they did. And, in doing it, they invoked Russia," he asserted. "Can't you imagine it happening? I can." Putin suggested recalling the assassination of US President John Kennedy in 1963. "There is a theory that Kennedy's assassination was set up by the United States special services," he noted. "If this theory is correct, and one cannot rule it out, thus what can be easier in today's situation, given the entire technical capabilities available to special services than to organize some kind of attacks in an appropriate manner while alluding to Russia in the process." Accusations against Russia are likely to come from supporters of the Democratic candidate Hillary Clinton who lost the election. "Now, the candidate from the Democratic Party, is this candidate universally beloved in the United States? Was she such a popular person? That candidate, too, had political opponents and rivals," Putin noted. The 35th US President, John F. Kennedy, was fatally shot on November 22, 1963 during his trip to Dallas (Texas). In line with conclusions of the commission led by Chief Justice Earl Warren, known unofficially as the Warren Commission, Kennedy was assassinated by a lone gunman Lee Harvey Oswald, who was shot and killed two days later. Nonetheless, there are numerous conspiracy theories circulating, chiefly one about US intelligence agencies’ involvement. So far, none of the theories has been proven.